When a person dies without a will in Florida, the law requires that the person’s estate be divided according to Florida’s intestacy law. 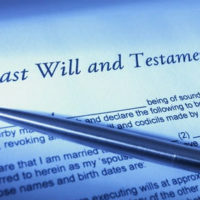 This means that in most cases, the descendants of the person who died inherit the assets. The law looks first to the person’s spouse and children, and then to other relatives. When children are considered, any children of the deceased who are adopted by other people may not be included in the group of children who may inherit. Children who are adopted under Florida law or the law of any other state cease to be considered children of the natural parents in the eye of the law. Therefore, the adopted child cannot inherit from the natural parents, just as the natural parents cannot inherit from the child who is adopted by another person. The adopted child can inherit from the adopted parents and others in the adopted family’s line. There is an exception to the cutting off of the ability to inherit by an adopted child from a natural parent if the adoption is by a spouse of a natural parent. For example, if a single mother gets married to a person who is not the other natural parent of the child, and the new spouse adopts the child, the child will still be able to inherit from the mother. The child would also be able to inherit from the new spouse and his relatives under intestacy laws. With an adoption by the spouse of a natural parent, whether the child is cut off from inheriting from the other natural parent depends on whether or not the other natural parent is alive or has passed away. If a natural parent gives up his parental rights in order to allow for adoption, this cuts off the child from inheriting from that natural parent. However, if a parent dies, and the surviving parent marries another spouse who then adopts the child, the child can still inherit from the deceased parent and his familial line. Adoptions are not always done with the knowledge of both parents. A man may not know that he has child with a woman who decides to place the child for adoption. If the child is adopted without the father’s consent, this could present an issue to contest the adoption under Florida law. If the adoption is invalidated, a natural child may be able to argue that he can inherit from a natural parent. If a person is adopted as an adult in some states, he cannot inherit from the adopted parent. However, in Florida, an adult adoption is not a barrier to inheriting from the adopted parent. Although an adult adoption may raise some unique issues, it does not mean that the adopted adult is out of luck in the case of intestacy. If you were adopted and are trying to figure out your rights when it comes to inheriting from your natural parents or adoptive parents, or how others can inherit from you, call an experienced estate planning attorney from the Millhorn Elder Law Planning Group located in The Villages, Florida.